Source Design Services; a specialist utility engineering design consultancy and part of leading engineering service provider McNicholas Group, has taken on a dual role as part of its utility design contract at Southbank Place for Canary Wharf Contractors, which is managing construction of the project. Source won the contract in September 2015 to coordinate; challenge and value engineer the design of the utility diversions. Source have been retained over the last year as an embedded member of the on-site team advising on and overseeing all utility coordination and implementation for the project. Currently the company are undertaking the design of a multi-utility trench in Chicheley Street to accommodate the required diversions from the public realm. Four new sewer connections are also required around site, and Source are consulting with Thames Water to affect the most cost effective, safe and efficient design. Rob Campbell Business Director for Source Design Services explains Source’s role in more detail: “We are an extended part of the construction team and play a consultative role in the development of utility designs for the project. We also provide an overarching role for all of the utility design requirements. This means we develop engineering designs for certain aspects and manage a number of other specialist utility service providers for others, and oversee the design implementation and physical delivery. “Utility disconnections and diversions can seriously delay the programme timelines and have disproportionate impact on the project critical paths, and so this way of working helps to de-risk large scale developments, such as this one, and ensure that the utility infrastructure requirements are coordinated efficiently. Ultimately, it will save Canary Wharf Contractors both time and money,” Rob continued. Southbank Place is a £1 billion mixed-use property development on the Shell Centre tower site on London’s South Bank, which is being constructed in phases from now until 2019. Once complete, it will include 800 apartments and 4,500 m2 of retail outlets, restaurants and cafés. “This is an area that has long been neglected, but will offer the best of all worlds, from the bustling culture of the South Bank to some spectacular views of the most recognized landmarks in the Capital, the Houses of Parliament and Big Ben. 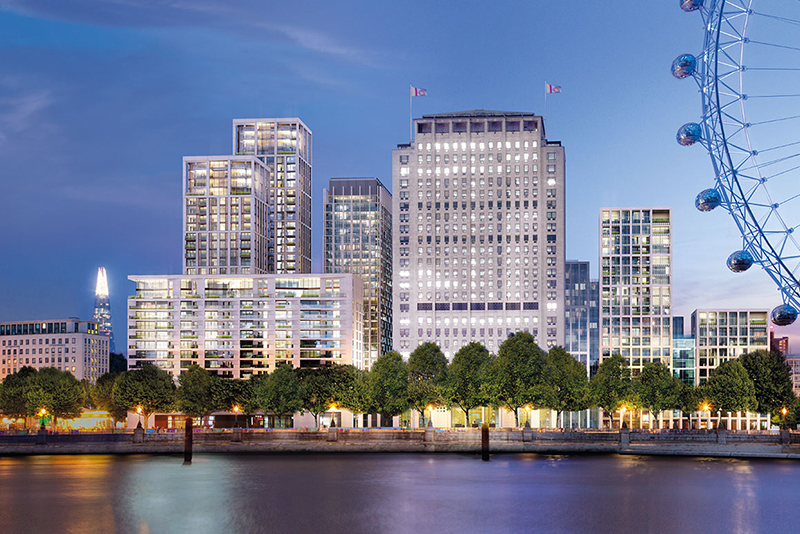 Southbank Place is also playing a major role in the development of the local community by creating new jobs, providing affordable housing and stimulating the growth of local businesses,” said Canary Wharf Group Chief Executive Sir George Iacobescu.